Episode 24 - The Pandavas are now settled into their forest encampment and receive a surprise visitor. 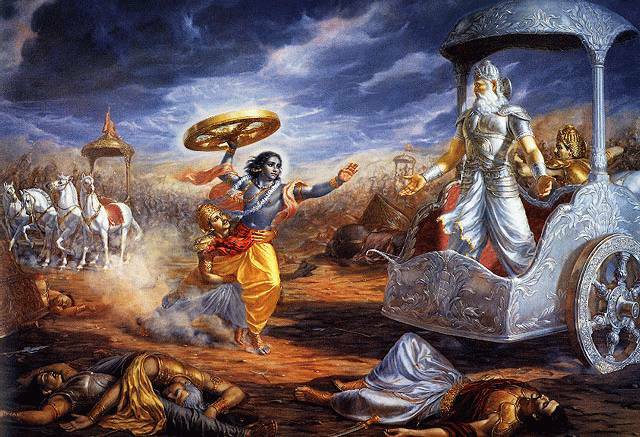 The Kauravas plot to kill the Pandavas while they are defenseless in the forest. Vyasa himself steps in to put a stop to this outrage, and he then introduces the sage Maitreya, who scolds Duryodhana, and then finally curses him to be struck in the "thigh" by Bhima. If you ever felt uncomfortable about the fact that Bhima had to cheat and hit Duryodhana below the belt in their final battle, you can now rest assured that it wasn't Bhima's fault. Maitreya made him do it! Very good podcast, please keep on going!